Testimonial: See how Stem Cell Nutrition & Adult Stem Cells helped me..
On November of 2013 I went to my traditional doctor to have him check out the cause of my painful thumb and joints. On my right hand my thumb was swollen in two places at the joints and every time I bent my thumb it made a terrible clicking sound not to mention it was extremely painful. I could hardly bend it at all. My doctor examined it,and proceeded to tell me that I had a trigger thumb and needed surgery on it as soon as possible. He explained in detail what the surgeon was going to do, handed me the necessary information and sent me on my way. Since many of my family members are in the medical profession (two nurses, two P.A's., one doctor now added to the family, two respiratory therapists ) they strongly suggested that I see my traditional physician and said I'd probably would have to have surgery on my thumb. Just to make my family happy I made the appointment with my physician. However, I knew what the out come would probably be. Just as I predicted, my physician said I would have to have surgery on the thumb as soon as possible. My doctor gave me the surgeons name and sent me on my way. I thanked him, but in my mind I was not about to have surgery of any kind, it was totally out of the question . Instead I phoned my holistic doctor and went to see her. She checked over the thumb and said it's a trigger thumb. She gave me a supplement to relive the swelling and pain and than I was to return to her in three weeks. In the mean time I had also heard about Stem Cell Nutrition, and did the research on it and then called the company explaining my problem. I ordered two of their outstanding stem cell nutrition supplements, SE2 and StemFlo. I took them twice daily. Two capsules of the SE2 in the AM and two capsules of the StemFlo just before bed. In two weeks time the swelling and discomfort was almost gone. Then another three weeks later the thumb was not clicking any more and the joints did not hurt at all ..plus the swelling was gone too. I can bend the thumb with no problem. It is now February 2014 and my thumb seems totally repaired and back to normal. So much for traditional medicine. If I had listened to my traditional doctor I would have been laid up for weeks taking prescription meds. My family is speechless over my results and all I do is smile. I continue to take my stem cell nutrition supplements each day. I am sleeping better, I'm not as hungry .. Plus, I'm loosing weight as well! is called Stem Cell “NUTRITION" .. it is *NOT* stem cell “MEDICINE” . Stem cell Nutrition is classified as a Natural “Food” supplement .. NOT a Drug. 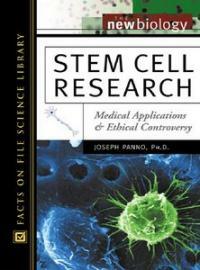 After further reading, I learned that it is proven and documented, within 60 MINUTES of taking 2 adult stem cell enhancer capsules ( 1 gram of propriety formulation of AFA stem cell release complex) your body releases 3 to 4 MILLION Fresh adult stem cells from your Bone Marrow..into your blood stream. These adult stem cells will circulate in the blood stream ..then, these bone marrow stem cells will migrate into organs and tissues in most need of repair and renewal. The propriety formulas of Stemtech stem cell nutrition supports the RELEASE of bone marrow adult stem cells..the CIRCULATION of stem cells.. and the MIGRATION of stem cells .. It’s important to remember, that it’s YOUR OWN Adult Stem Cells that do all the body renewing, regenerating and Repair. I am now starting my mother of 86 years old on a daily schedule of Stem Cell Nutrition products as well. I will keep you posted on the good success I see with myself and my mother. Comments for Testimonial: See how Stem Cell Nutrition & Adult Stem Cells helped me.. Thanks! Stem Cell testimonial gives "Hope to Cope"
it's great to hear about your health improvements with your daily supply of millions of fresh stem cells, especially your renewed 'Trigger thumb' ! I have some friends that have health issues with their eyes and knees. I have read Dr. Allan Somersall's Best Selling book on Stem Cell Nutrition .. and your stem cell testimony is another example of his mantra.. "Everybody has stem cells; everybody uses stem cells; everybody uses stem cells every day; stem cells work and...they work every time!" Lisa, I hope by taking daily stem cell nutrition, good health continues for you and your Mother -- and I look forward to your updates .. Thanks for sharing !